Welcome to Pacifica, the Pacific Northwest home of United Yacht Sales! Our team strives to set a higher bar, to deliver a high-value service to the yachting community of the Pacific Northwest, and beyond. Instead of being driven by manufacturer quotas, we're driven by customer satisfaction. We are a dedicated team of professionals, with many years of experience in finance, yacht consulting and sales, high tech marketing, creative deal structure and transparent transaction management. All of our clients' boats are available for co-brokerage with other yacht sales groups, so that if one of their customers has an interest in one of our listings, their broker can expect that we will work harmoniously to ensure that your yacht sale transaction is as trouble-free as is possible and that all parties will be treated with fairness and transparency. You can depend on this: we will strive to meet your needs while exceeding your expectations. Our team strives to set a higher bar, to deliver a high-value service to the yachting community of Southeast Asia. Instead of being driven by manufacturer quotas, we're driven by customer satisfaction. All we do is yacht brokerage. 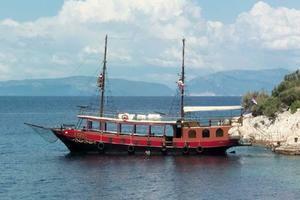 The clients' boats that we represent have all been reviewed by us. We work hard to find our customers the best boats that are excellent values, and then work hard to manage a trouble-free purchase & sale transaction. We are an organic team of professionals, with many years of experience in finance, yacht consulting and sales, marine engineering, high tech marketing, creative deal structure and transparent transaction management. Whether you're thinking about a luxury superyacht, a flybridge motor yacht, a charter catamaran, a global cruiser, a sportfisher or a sailboat for coastal cruising, we have many excellent values in excellent condition for sale and charter. Our collection consists of the best brands, including Sunseeker, Azimut, Grand Banks, Lagoon, Fountaine Pajot, Beneteau, San Lorenzo, Columbia, Clipper and many other yacht brands. Buying a boat can be a fun and exciting proposition. It also can be a very difficult and frustrating experience, sorting options, features, value and condition. 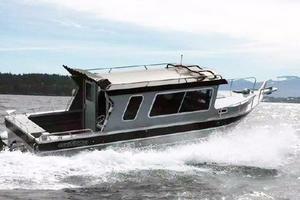 United Yacht Sales lists only boats that meet our tough standard for condition and value. 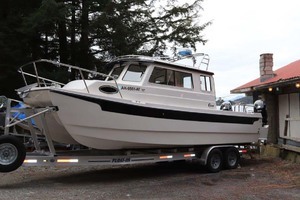 If we list a vessel, or otherwise recommend a vessel for your consideration, you can depend on the fact that it has been vetted to stand up to your scrutiny and that of your surveyor. 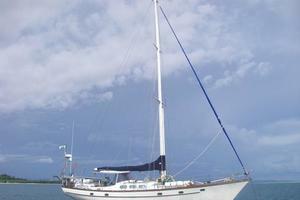 We will work with you to understand your objectives and learn how you intend to use a boat. The last thing you want is to buy a boat that is flashy, but does not correspond to how your family intends to use it. Trust, and leverage our extensive experience in the yachting industry to help you buy a boat that will serve you not only now, but for years into the future. Our purpose goes beyond merely selling you a boat. It extends to your next boat, and your friends' boats. We aim to earn your trust and confidence through honest counsel and transaction management. When you are ready to buy a boat, work with the team who has your best interest at heart. With on average of 600 central listings to choose from, as well as database access to over 10,000 yachts and boats to search through, Pacifica can find the boat or yacht you are looking for! To get started please browse our database of yachts for sale, or contact Daniel to have him search the worldwide market for you. Daniel Vorhees has been in the yachting industry for over 20 years. With the friends he has made from buying and selling yachts, as well as his connections made from traveling the world, Daniel has the knowledge and contacts to make your sale or purchase a pleasurable one. Daniel's philosophy is every client is the most important one, and also is a future friend that makes him one of the most successful yacht brokers in the industry.